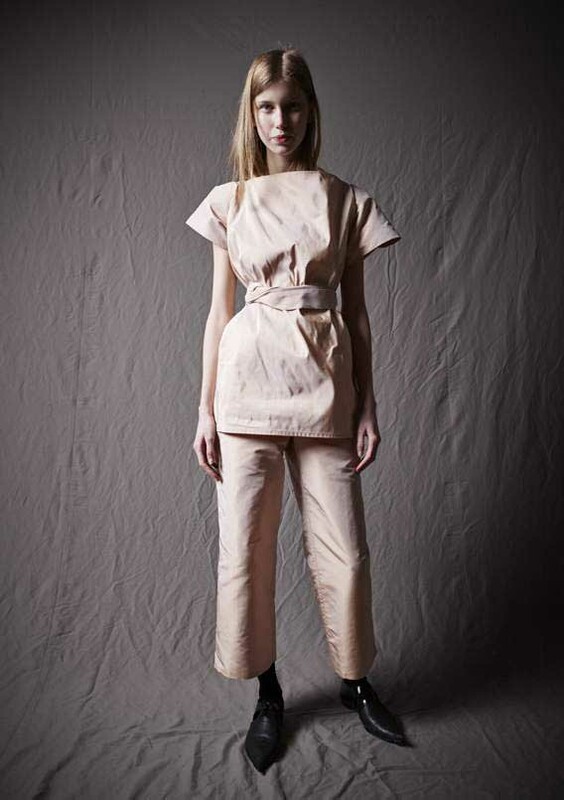 A sense of security is the feeling you get from the MICHAEL SONTAG autumn/winter 2014/15 collection. The idea of the garment as a sheath that covers the body to protect has accompanied the entire design process. With the free drape style, the clothes are comfortable to wear. And with the use of luxurious natural materials like silk, cashmere and leather, the sentiment of being well-dressed dominates. SCHMIDTTAKAHASHI Fall 2014: "Colours of Germany"